This article describes how to upgrade BrightWork for SharePoint 2013 from a previous version of BrightWork for SharePoint 2013. Part of this process involves uninstalling the BrightWork solution before installing the newer version. This process does not affect your data or customizations. You need administrative privileges on your SharePoint server to install BrightWork. Tip! If you have made changes to your BrightWork timer jobs, you should take note of these settings so you will be able to restore them later. 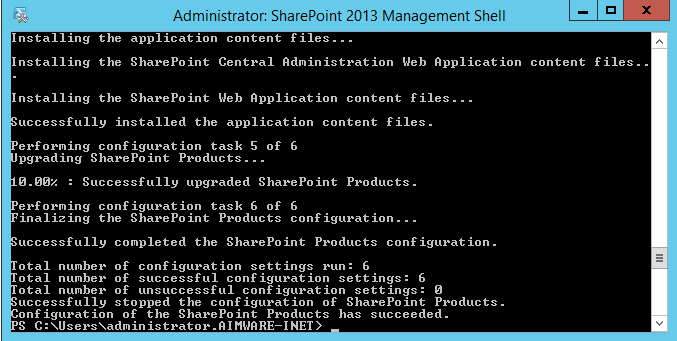 When the "Solution BrightWork.wsp is now removed" message displays, close the SharePoint Management Shell. Navigate to the Control Panel | Programs and Features page. Click on BrightWork for SharePoint 2013 and click Uninstall. Note: Please ensure you close the SharePoint Management Shell before proceeding with the next step. This ensures that it is running under a different process. Follow the steps below on all other servers in the farm. If you have previously adjusted your BrightWork Timer Jobs, you need to do so again to reapply your changes. To ensure projects metrics are up to date, the Project Metrics Refresh can be run as frequent as you like. At BrightWork we run the Project Metrics Refresh every 15 minutes. Project Schedule Refresh timer job takes place from 12.00am to 12.30am. This is a timer job for a deprecated list. Therefore, if you do not use it, you do not have to use this timer job. Click Monitoring on the Central Administration Quick Launch. Click the BrightWork timer job you want to adjust. Make your adjustments and click OK. Note: Running psconfig may NOT be required when upgrading to the BrightWork 15.10 release. If you are upgrading from BrightWork 15.8, 15.8.1, 15.9 or 15.9.1 then you do NOT need to run a psconfig. If you are upgrading from BrightWork 15.7 or earlier then you DO need to run a psconfig. In a multi-server SharePoint farm, psconfig needs to only run once on the Application server. The SharePoint Products Configuration Wizard (psconfig) is a SharePoint Utility that needs to be run periodically for proper SharePoint maintenance. It is needed in BrightWork to update existing Site Collections with new features added in a release. Please note that the psconfig utility can highlight issues with the configuration of your SharePoint Server Farm. Run iisreset and close the window once "Internet services successfully restarted" is displayed. BrightWork should be successfully upgraded. Note: As of BrightWork 15.4, we no longer ship non-English versions of BrightWork directly. Language translations may be purchased through our partners however. For more information, please see the BrightWork Language Partners. Please contact support@brightwork.com if you have any questions.